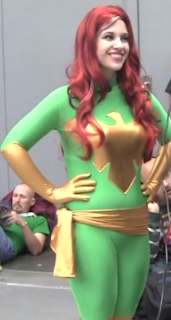 FightVG had a quick chat with cosplayer Bettie Bloodshed, who donned Phoenix attire when we reached out to her at the 2013 New York Comic-Con event. Playing the role of Phoenix on the first day (Oct. 10) of the 2013 New York Comic-Con event was Bettie Bloodshed. The talented cosplayer spoke with FightVG on why she came to Comic-Con this year. You can visit her Facebook page by clicking here.